PopFoam is the manufacturer of foam products world wide, creating products for companies like Lifeproof, Crocs and One World Futbol Project. Their technology is focused on the molding of cross-linked closed cell foam into controllable, high tolerance and precise products. PopFoam approached us to create a video highlighting one of their partners One World Futbol Project and the opportunity that PopFoam‘s process and technology provided. The video included an interview with One World Futbol Project co-founder Tim Jahnigen and b-roll from our many travels with the company. We are proud to have worked with both companies, both leaders in their industries. 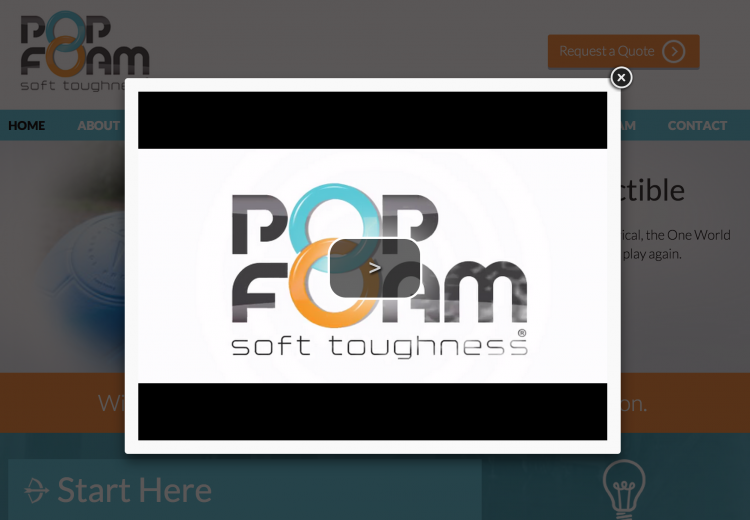 Pop Foam came to us to create a video highlighting a product that they manufacture for a customer of theirs.